Over a year ago, I was contacted by Laurie Gonyea of Feel Good Yarn Co. about being a part of their "Year of the Designer". Every month this year, FGYC has worked in conjunction with a designer to release an exclusive pattern designed for SilverSpun® yarn. I couldn't be more excited to close out this special year with brand new pattern, designed with two colors of SilverSpun® Sport. 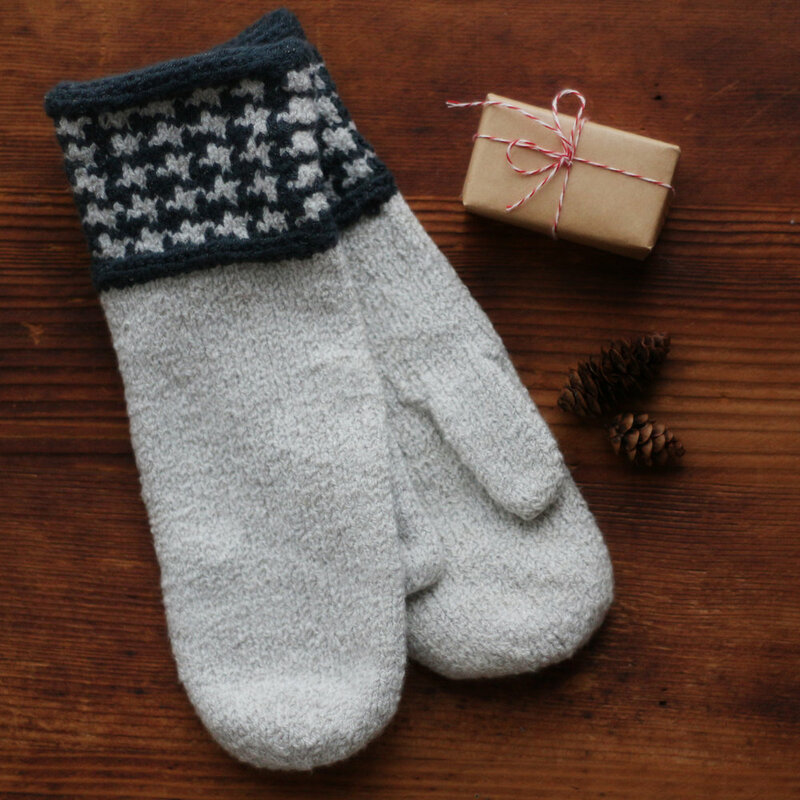 The Mill Street Mittens are that perfect last minute holiday gift knit! With a classic wintry feel of the houndstooth pattern, and minimal increases & decreases along the way, the mittens knit up quickly and more mindlessly than you might expect! SilverSpun® Sport is an American made cotton yarn that is spun with pure silver, which makes it conductive. 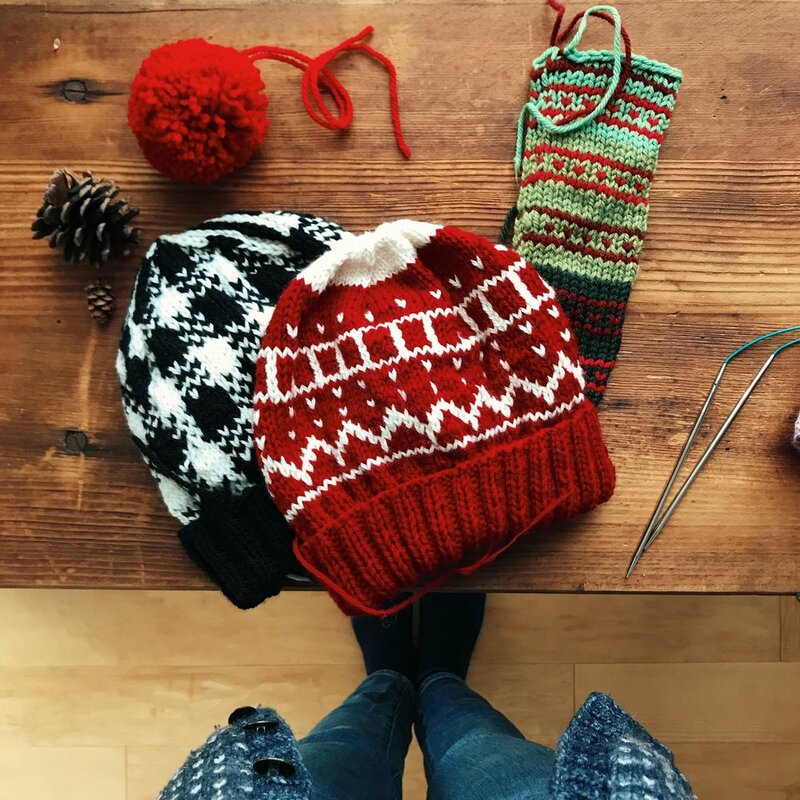 It doesn't feel like a typical cotton yarn, as there is a certain amount of elasticity in the fabric it creates, which helps the mittens really 'hug' your hands. The pattern can be purchased as part of a kit on the Feel Good Yarn Co.'s website (with free shipping for email subscribers! ), or as a Ravelry download. Treat yourself to the comfort of SilverSpun® American cotton this holiday season! PS... Hop on over to Feel Good Yarn Co.'s blog to read an exclusive interview about the design process!